When I talk to companies about creating effective social media strategies, I emphasize that they must provide content that is of value to their target audiences. After all, if it’s not valuable to them, they won’t devote their time and attention to you. Put another way, “Marketing is not about us, it’s about them,” (quoted from the book Guerrilla Marketing). 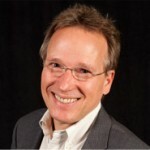 So deviating from my own standard advice, I’m thrilled to highlight that this past June I was recognized as Vistage International’s 2012 Impact Speaker of the Year. With 750 outstanding speakers presenting to roughly 8,000 groups each year, Vistage is the world’s largest speakers bureau. To win their top award is amazing. Honorees are role models who have made a significant impact on the Vistage community through their speaking engagements during a period of five or more years. They handle a very high volume of presentations annually and are flexible in accepting Vistage engagements. 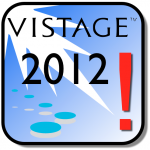 They are open and eager to make presentations for Vistage and provide exquisite value to Members. In essence, they embody the beliefs and embrace the goals of the Vistage community. These speakers have conducted at least 200 Vistage presentations with an average score of 4.5 or higher in both content and delivery. Scores are for their entire Vistage speaker career. As I look to the second half of 2013, I continue to enhance these three presentations almost continuously. I’m also developing a new presentation titled “Leadership Lessons of Steve Jobs” based on his most audacious and entertaining interview — recorded in 1996 before anyone knew he’d be rejoining Apple. The master tape was lost shortly thereafter and the session was believed lost to history. In 2011, a BBC employee discovered a VHS copy of the tape in his garage and brought it to the world. It’s a fascinating lesson in leadership.